In the 1930s the Swiss brothers Édouard and Georges Guillaume launched an ambitious attempt to found a science of “rational economics” by analogy with the science of rational mechanics. Their models were intensively discussed by the X-Crise group in Paris, and exerted an influence on the early French contributions to mathematical economics and econometrics. In addition, the Guillaume brothers (hereafter the Guillaumes) created their own research institute in Paris, which applied their models to real world issues and offered its services to the private sector. Later they became involved in attempts to conceive electrical machines which represented the working of the economic system. This paper explores the specific blend of physics and economics proposed by the Guillaumes, and traces the connections between their theoretical work and its more practical manifestations. It examines the background of the Guillaumes, analyses their theoretical contributions, and presents a survey of the activities of their research centre. Dans les années 1930 les frères suisses Édouard et Georges Guillaume lançaient un projet ambitieux pour fonder une science d’“économique rationnelle”, par analogie avec la science de mécanique rationnelle. Leurs modèles étaient discuté de manière intensive par le groupe d’X-Crise à Paris, et exerçaient une influence sur les premières contributions françaises en matière d’économie mathématique et d’économétrie. En plus, les frères Guillaume créaient leur propre institut de recherche à Paris, où leurs modèles furent appliqués à des situations réelles et qui offrait ses services au secteur privé. Plus tard ils conçurrent des machines électriques représentant le fonctionnement du système économique. Cet article explore le mélange spécifique de physique et d’économie proposé par les frères Guillaume, et fait le point sur les connections entre leurs travaux théoriques et ses manifestations pratiques. Il examine le parcours des frères Guillaume, fait une analyse de leurs contributions théoriques, et présente un sommaire des activités de leur centre de recherche. 1 An English translation, with extensive comments and notes, is in Mirowski and Cook (1990). 1Much has been written about the complex relationship between economics and physics. One of the most well-known examples is Philip Mirowski’s provocative book More Heat than Light, in which he went to great lengths to show “the wholesale piracy of some physics by a doughty band of economists” (Mirowski, 1989, 4). One of the villains in his story is Léon Walras, who is presented as having very little mathematical skills and only a shallow knowledge of the theories of physics. Yet Walras repeatedly stressed the strong similarity between economics and physics. Perhaps the most explicit exposition of his views can be found in one of his very last papers, ‘Economics and Mechanics’ (Walras,  1987), written in 1907-8 and first published in 1909.1 Here Walras argued that the psycho-mathematical science of pure economics, as he conceived it, used identical methods as the physical-mathematical sciences of rational and celestial mechanics. 2A similar, but not entirely identical, position was defended by Édouard and Georges Guillaume, who in the 1930s launched an ambitious project of mathematical economics under the title of ‘rational economics’, a term previously coined by economists explicitly as an echo of ‘rational mechanics’. Mirowski did not mention the Guillaume project in his More Heat than Light, but in his more recent book Machine Dreams he included an anecdote which involves a publication of the Guillaume brothers (Mirowski, 2002, 104). The story comes, in fact, from Robert Leonard (1995, 736-738), who quoted extensively from a letter which John von Neumann in May 1935 wrote to Abraham Flexner, director of the Institute for Advanced Study at Princeton, who the month before had sent him a copy of their 1932 book Sur les Fondements de l’Économique Rationnelle. Although von Neumann had some sympathy for their methodological principles, he was of the opinion that “the mathematical technique of the authors is not good enough, to carry all the theoretical and statistical structures, which they want to build on it”. More generally, he had “the impression that the subject is not yet ripe (I mean that it is not yet fully understood, which of its features are the essential ones) to be reduced to a small number of fundamental postulates—like geometry or mechanics”. 3The work of Édouard and Georges Guillaume is not very well known among economists and historians of economics. In recent years Marianne Fischman and Emeric Lendjel (2000), Lendjel (2002, 21-33) and Michel Armatte (2005, 99-102) have examined some aspects of their writings. In this paper I explore the specific blend of physics and economics proposed by the Guillaume brothers, and in particular trace the connections between their theoretical work and its more practical manifestations. They rejected what they called the ‘subjective’ rational economics of Cournot, Jevons, Walras and Pareto, and instead aimed for an economic science based upon an ‘operational’ axiomatic system. After a short biographical sketch, I analyse the theoretical contributions of the Guillaume brothers, and present a survey of the activities of their research centre, the Centre d’Analyse Économique, and its collaborators. 4Édouard and Georges Guillaume had Swiss roots. The Guillaume family, of which a reduced genealogical tree can be found in Figure 1, came from the village of Fleurier in the Val-de-Travers district of the canton of Neuchâtel. Business interests—some family members were prominent watchmakers—as well as political turmoil had pushed the family to maintain a settlement in London.2 One of these watchmakers, George Guillaume (1817-1896), also owned of a printing shop in Neuchâtel, and served as a Conseiller d’État of the canton of Neuchâtel from 1853 to 1886.3 Around 1870, three of his sons had moved from Neuchâtel to Paris. His oldest son James (1844-1916) was a socialist and would later become a well-known historian of the Socialist International Movement (Vuilleumier, 1964). Édouard (1850-1897), on the other hand, was an aspiring painter, and Charles (1854-1903) a graphical artist. During the 1870s and 1880s Édouard and Charles operated a zinc engraving company in Paris, Guillaume frères et Cie. Around 1885 Édouard launched himself in the printing and publishing business, specializing in colourfully illustrated literary books. Using innovative marketing techniques he managed to sell enormous amounts of books—apparently more than two million volumes marketed under the brand name Collection Guillaume, including books by Alphonse Daudet, Émile Zola and Edmond and Jules de Goncourt, went over the counter in the period 1885-1893. In 1895, however, the Guillaume firm was declared bankrupt, and Édouard died soon thereafter. Source: Petitpierre (1955) and own research. 7 One of the persons involved in this debate—on the side of Poincaré—is Maurice Allais (2005). 8 See Guillaume (1937, 1943). 12 On Coutrot and his influence in X-Crise, see Dard (1995; 1999, 55-98). 14 On this association and the role of Georges Guillaume in it, see Henry (2004, 54-64). 10In the 1930s Georges Guillaume also founded the Centre d’Analyse Économique and the Centre de Gestion Guillaume in Paris. The first presented itself as a scientific research institute where ‘usable laws’ were derived based on the theoretical work of Georges and Édouard Guillaume; the aim of the second was to proceed to ‘experimental verifications’ of these laws by means of a capital fund (Le Centre d’Analyse Économique, 1935, 8). The address of these two centres (9, rue Lincoln in the 8th arrondissement of Paris) in 1937 also became the headquarter of the journal Humanisme Économique and of the Centre d’Études des Problèmes Humains, an interdisciplinary association created by Jean Coutrot and supported by influential personalities like Alexis Carrel (1873-1944), winner of the Nobel Prize for Medicine in 1912, Aldous Huxley (1894-1963), the English writer, and Pierre Teilhard de Chardin (1881-1955), the Jesuit palaeontologist and philosopher.14 During World War II Georges Guillaume’s name was rumoured to be on the member list of the ‘Synarchic’ movement, a presumed conspiracy against the Vichy regime (Dard, 1995, 145). 15 Some copies of this study seem to carry the title Construction d’une économie française. 12In the above-mentioned paper ‘Economics and mechanics’ Walras systematically designated the science of economics by the term l’économique rather than by the term l’économie politique, which he used in his earlier work. Walras shifted to the new term in the 1890s (see, e.g., Walras,  1992, where he used l’économique pure and l’économique appliquée), following up on Jevons’s suggestion to replace political economy, “the old troublesome double-worded name”, by economics, “perfectly analogous in form to Mathematics, Ethics, Æsthetics, and the names of various other branches of knowledge” (Jevons,  1888, Preface to the 2nd ed., 5). Albert Aupetit, a young economist acting as Walras’s first disciple and protégé in France at the beginning of the 20th century, also contributed to this terminological change. 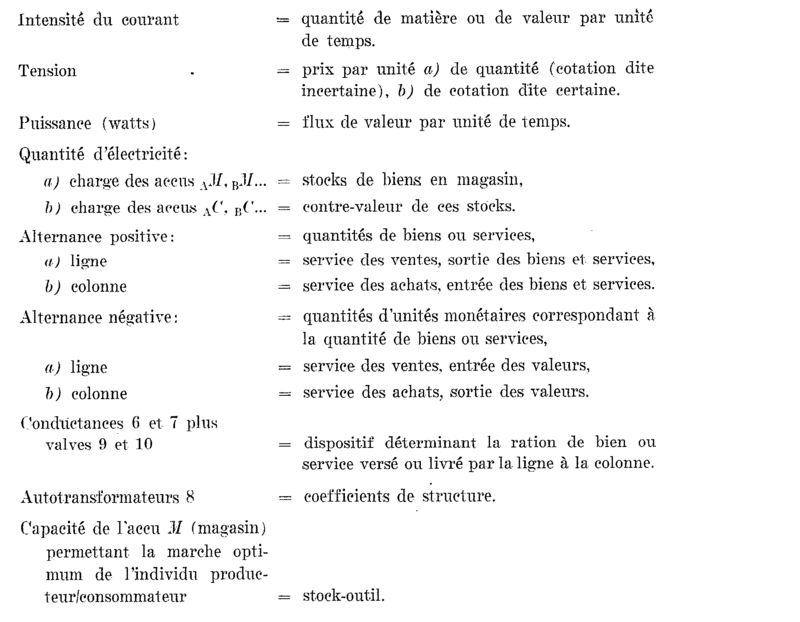 In 1901 Aupetit had written a PhD thesis in which he formulated a general theory of money along the lines sketched by Walras. He distinguished two parts in his work: an abstract and theoretical part which he called Économique rationnelle and an empirical part entitled Économique expérimentale.19 The distinction was motivated by the way things were done in physics, where ‘synthetic or rational’ research existed side by side with ‘analytical or experimental’ research (Aupetit,  1957, 23-24). As much as rational mechanics studied an ideal world based upon a number of abstractions, rational economics studied a non-existent world based upon abstractions such as the homo œconomicus and perfect competition (ibid., 28-29). Gaëtan Pirou (1929, 113-115) stressed that this was not the same as the distinction of pure and applied economics, but simply two different approaches of the same problem. He pointed out that similar distinctions were made by Marcel Lenoir (1913), Jacques Rueff (1922), Charles Bodin (1926) and François Divisia (1928). 13From Walras’s correspondence we know that in 1907 Albert Aupetit had agreed to write a book Économique Rationnelle for the applied mathematics section of the massive Encyclopédie Scientifique series edited by Édouard Toulouse (Jaffé, 1965, III, letters 1660 and 1674). Aupetit’s book was never published, and one had to wait until the year 1928 when François Divisia published his book with the same title in the series. According to Divisia (1951, 12) the term rational economics had been invented by Walras, but Divisia did not provide a specific reference. Whatever the source of the term may be, it is clear that it was chiefly used by those who claimed to be working in the tradition of Walras. 20 “tantamount to a body of doctrine, as is rational mechanics”. 15The number of axioms had to be small so that one could ‘easily dominate them by a geometry’ (Guillaume and Guillaume, 1937, 14). The role of mathematics would be to show that the set of principles was free of internal contradictions, and to derive the logical consequences of the principles adopted. Empirical verifications would reveal whether the chosen principles were true. 16According to the Guillaumes, economics had not yet reached this status of a scientific, i.e. axiomatic, discipline. In their view, the history of economic research could be seen as exploring four different methods (ibid., 9-17). Political economy, akin to law, was based on the dialectical method: it used mainly verbal logic and common sense to derive economic laws. Business cycle studies used both historical and statistical methods to discover correlations between different factors. The school of Cournot, Jevons, Walras and Pareto relied on mathematics and the hedonistic method to formulate a general economic theory. But this ‘subjective rational economics’, as the Guillaumes called it, had one basic flaw: its axiomatic system was not operational. Here they referred explicitly to the views of Percy Williams Bridgman.22 Their main criticism was that the subjective concept of value did not obey the principle of conservation. 24Since there is one degree of freedom, the Guillaumes suggested to use gold as the numéraire, i.e. to put the price of gold, pO, equal to 1. 25The two conservation principles were seen as counterparts of the two conservation principles of physics, with the first corresponding to the conservation of matter and the second to the conservation of energy (Guillaume, 1946, 58-61). The two principles provided the foundation for a twofold accounting system, one with regard to goods and the other with regard to values, which constituted the core of their rational economics theory. The models developed by the Guillaumes are therefore built around a nucleus consisting of variants of the two systems of equations expressing the two conservation/accounting principles. 26The Guillaumes claimed that by following their approach they were able to arrive at a truly ‘general theory’ (Guillaume and Guillaume, 1937, 241-242). They certainly did not lack ambition: they started from ‘small models’ (ibid., 39-42), which they gradually made more ‘realistic’ by relaxing some simplifying assumptions and by exploring different types of equilibria. Various adaptations ensured that these models could also be used to analyse non-equilibrium situations such as price adjustments, economic crises, etc. Their aim was to use these models to make predictions about the economic world which could be tested empirically, in the same way as models in physics (e.g., Niels Bohr’s model of the atom) were used to explain phenomena in the physical world. In particular, they claimed that by using probability theory they were capable of forecasting rates and prices of different assets. As we will see in the section 6, it appears that they were effectively using this information. 27It is not difficult to understand why their attempt to formulate a general economic theory based on purely objective grounds failed to convince mathematicians strongly interested in economics like von Neumann. von Neumann and Morgenstern (1944, 1-8), in their opening paragraphs on ‘The mathematical method in economics’, stressed the limitations of the use of mathematics for the analysis of economic problems, “due to a combination of unfavorable circumstances” (ibid., 4). Often the problems were formulated in vague terms only and not clearly understood. Moreover, empirical knowledge was very much incomplete. As a result, modesty was called for when using mathematics in economics: “It is futile to explain—and ‘systematically’ at that—everything economic. The sound procedure is to obtain first utmost precision and mastery in a limited field, and then to proceed to another, somewhat wider one, and so on.” (ibid., 7) Judged by the standard of modesty of von Neumann and Morgenstern, the project of the Guillaumes could only be seen as premature and overly ambitious. 28The approach of the Guillaumes led to a succession of ever more complicated models. It would require a lot of space to present them in a systematic way. What I will do instead is to focus on some of their relatively simple models, since these bear a striking resemblance to linear models which were developed by various authors in the first half of the 20th century. The similarity with the systems of equations presented by Remak, von Neumann, Leontief and Sraffa has been pointed out by Gilibert (2000). In this section I will concentrate on the links with the work of Sraffa and von Neumann, and also with the work of a much less known pioneer of linear economic models, Maurice Potron. 25 Please note that the symbols I am using here differ from the ones used by the Guillaumes. 36According to the Guillaumes, the connection ‘energy → labour → cost price → value’ not only provided the foundation for the principle of the conservation of values, but also for the principle of the ‘universal interdependence of cost prices’ (ibid., 69). 39 which are Sraffa’s equations. Hence Sraffa’s exchange values in a ‘production for subsistence’ system coincide with the relative cost prices of the first reduced model of the Guillaumes. 40Although systems (4) and (5) are expressed in terms of actual flows of goods, the Guillaumes pushed the analysis one step further by introducing the notion of production coefficients, based on the assumption that the ratios of the inputs to the outputs they help to produce remain the same (see, e.g., Guillaume, 1932, 95).27 In other words, they implicitly adopted the hypothesis that in normal circumstances the economy operates under constant returns to scale. This means there is some similarity with the model which John von Neumann presented in 1932 in Vienna (see von Neumann, 1945-6). Although it is obvious that von Neumann’s analysis had a different scope, it is remarkable that the Guillaumes derived a number of results which are reminiscent of von Neumann’s. For instance, in the third reduced model of 1932 (which more or less coincides with the first reduced model of 1937) they showed that under certain conditions economic equilibrium required a constant growth rate of production of all commodities (Guillaume, 1932, 108; Guillaume and Guillaume, 1937, 284), something which brings to mind von Neumann’s “coefficient of expansion of the whole economy” (von Neumann, 1945-1946, 2). 41There is also a similarity with some variants of the economic models formulated by Maurice Potron in the periods 1911-1914 and 1935-1942 (see Bidard and Erreygers, 2007 and 2010, and Bidard, Erreygers and Parys, 2009). In the second reduced model of 1932 the Guillaumes explicitly introduced a variable representing the non-active part of the population, such as the unemployed, the invalid, the sick and the old (Guillaume, 1932, 92). This allowed them to say something about the effects of increasing unemployment levels, although their analysis does not go very deep (ibid., 93). In Potron’s models the category of non-actives is represented by two vectors of variables, one for the number of non-working consumers in each social class (the rentiers), and the other for the number of hours or days that the workers of each type of labour are unemployed. But here too, we must be well aware of the fact that the approach of Potron was of a different nature than that of the Guillaumes. 42In spite of these analogies, there is no evidence of any kind of influence between the Guillaumes and the authors just mentioned. For all it seems, the originality of their work cannot be doubted. Some aspects of their models have no counterpart in any of the other linear models developed in the first half of the 20th century. The central place they gave to gold and the intricate schemes they developed to integrate monetary and financial mechanisms into their models serve as illustrations. 46A remarkable affinity exists between their work and the esoteric economic writings of the mineralogist André Amstutz (1901-1981) and the chemist Arnold Borloz (1899-1960), both from Switzerland. First in a series of short papers published during World War II in the Compte rendu des séances de la Société de Physique et d’Histoire Naturelle de Genève, and then in a longer article in the Revue suisse d’économie politique et de statistique (Amstutz and Borloz, 1945), they expounded a mathematical economic model in which gold played the role of standard of value. 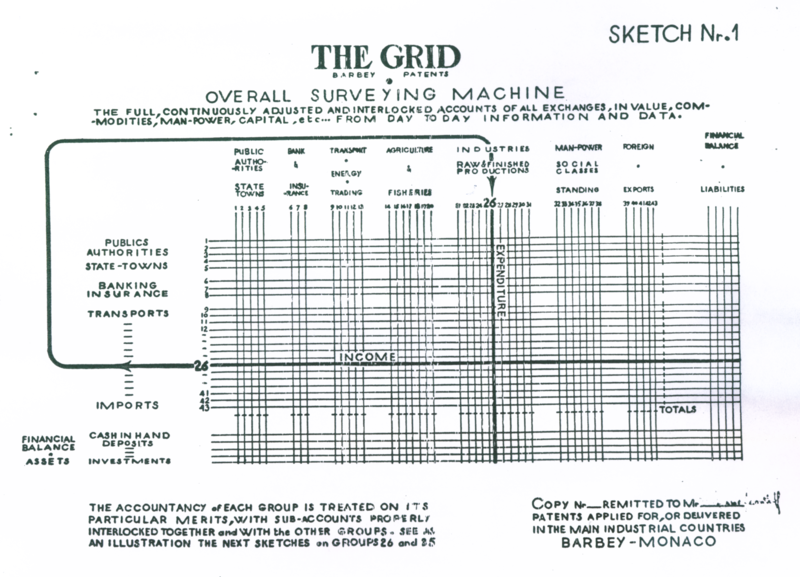 Making use of datasets of the League of Nations, the US Department of Labor and Bureau of Census, and data made available by the economist Carl Snyder (1869-1946), they proceeded to elaborate empirical calculations. Both Édouard Guillaume (1943, 103) and Amstutz and Borloz (1945, 591) acknowledged the resemblance between the two approaches, but a promised in-depth comparison of the two was apparently never published. 47As already mentioned, their theories were intensively discussed during the meetings of X-Crise (Gibrat, 1936), but even there the reception was not uniformly positive. Their 1937 book provoked a rather critical reaction by Divisia (1938), to which Georges and Édouard Guillaume (1938) duly replied. Divisia maintained that by purging economics from its hedonistic content, the Guillaumes were performing an amputation which entailed the loss of “tout ce qui fait de l’économique une science morale” (Divisia, 1938, 191). 48Of the main economics journals, only the Economic Journal published a review, by Michal Kalecki (1940). He noted several deficiencies, but nevertheless concluded that “their work represents a serious contribution to this field of thought, and abounds in original and stimulating ideas” (ibid., 278). In their native Switzerland the Bulletin Technique de la Suisse Romande published three reviews of their books: one by the mathematician Gustave Juvet (1932), one by the engineer Charles Jaeger (1937a), and another one by J.C. (1938). Jaeger (1937b) also published a much longer article on mathematical economics in the Schweizerische Bauzeitung. Harold T. Davis (1938) published a joint review of the 1937 book by the Guillaumes and of Jan Tinbergen’s An Econometric Approach to Business Cycle Problems in the Bulletin of the American Mathematical Society. Davis saw both books as indicative of “the trend that modern studies [on mathematical economics and econometrics] are taking” (ibid., 761), but stopped short of making a comparison between the two. 30 See Marjolin (1937), Picard (1937) and Guillaume and Guillaume (1937, 246-247 and passim). 50The centre was founded and directed by Georges Guillaume. The main purpose of this non-profit organisation with scientific aim was to transform the principles of rational economics of the Guillaumes into propositions which could be applied to real-world problems.31 The centre was divided into five sections: (I) Business cycles (La Conjoncture Générale); (II) Sectors and markets (Les Branches de l’Activité Économiques); (III) Assets with variable revenues (Les Valeurs Mobilières); (IV) Assets with fixed revenues, and interest rates (Les Valeurs à Revenu Fixe et les Taux); and (V) The Guillaume management technique (La Technique de Gestion Guillaume).32 This last section elaborated and refined a financial technique described as the ‘Guillaume Technique’ of generalized systematic arbitrage. The centre seemingly attached great importance to data collection and graphical illustrations; it boasted of continuously updating a series of ‘atlases’ with data and diagrams (CAE, 26-27). 52The Crédit Lyonnais seems to have declined Georges’s offer. The report was sceptical about his methods and warned that “l’application systématique des mathématiques supérieures à des raisonnements qui ne reposent en fait que sur des tissus d’hypothèses risque de donner une apparence de rigueur à des conclusions qui peuvent être dangereuses” (ibid., 4). 54A number of examples were given which purportedly showed the superiority of the Guillaume arbitrage technique in comparison to other financial techniques (CAE, 21-28). 57This is the first mention of the use of electrical models by the centre; I will explore this branch of activity in the next section. 59This raises two interesting questions: were the tables of the Guillaume similar to the input-output tables constructed by Wassily Leontief since the early 1930s, and what exactly was the electrical calculator to which they referred? 45 Patent numbers UK600795, US2509718 and CH253045. 60A partial answer to these questions can now be given. Just a couple of weeks after the Liberation of Paris in August 1944, Raymond Alphonse Marie Barbey submitted a patent application to the French authorities for a Dispositif électrique pour l’étude des variations corrélatives de grandeurs liées entre elles par un système de relations mathématiques formant tableau à double entrée.44 In 1945 he submitted the same application for an electric calculator also in the UK, the USA and Switzerland.45 The application file started with a simplified representation of economic transactions in a national economy by means of a double-entry table arranged according to the method of Georges and Édouard Guillaume of the Centre d’Analyse Économique (see Figure 2). Source: Patent number US2509718, columns 1-2. 63He went on to describe the technical details of the system of instantaneous and totalizing meters which he had in mind. Source: Barbey to Leontief, 6 March 1946, Appendix: 5 (Papers of Wassily Leontief). At the beginning of 1944 the author saw the double-entry tables of the Center [sic] d’Analyse Économique, Paris, on the national product. He was struck by the difficulty of mutual adjustment within the frame of double-entry accounting, of large numbers of statistical or tentative figures. He wondered whether electric currents would not spontaneously give the answer to such large systems of linear equations and he built a first very small electric “Grid” of four accounting units exchanging through sixteen points. 48 Patent number CA484584; the application date is unknown, but it was issued on 1 July 1952. 49 Patent numbers FR1002557 and US2503932; the quote is from the US application (columns 8-9). 50 Patent numbers CH297068 and DE910906 for the first and CH297465 for the second. 67The exact relation between Barbey and the Guillaumes remains a bit of mystery. When the previously mentioned patent application was submitted in Canada, the inventor was listed as Raymond Barbey but the owner as Georges Guillaume.48 In 1946-7, Barbey submitted patent applications in France and the USA for an “electric calculating machine for studying the variations of linear functions of several variables and for solving systems of equations with several unknowns”.49 He reproduced the same table as in his previous application (Figure 2), but he dropped the reference to the Guillaumes and instead claimed that it had been prepared in accordance with the methods of Leontief’s input-output analysis. To make things even more complicated, a few years later Georges Guillaume also submitted patent applications for electric calculating machines, entitled Appareil électrique de mesure, permettant notamment de faire des prévisions économiques and Appareil électrique de mesure, permettant notamment de déterminer l’équilibre dans un système d’échange.50 In the first he referred explicitly to the Économique Rationnelle book which he and his brother had published in 1937. He claimed that he had found a way to construct an electric device which established an exact correspondence between economic variables and electric variables. The main terms of correspondence are given in Figure 4. In the second, clearly a variant of the first, he suggested that the patent which Barbey had applied for in 1945 was, in fact, his. It is uncertain whether any of the devices invented by Guillaume has ever been built. Source: Patent number CH297068, p. 7. 68In this paper I have tried to show that the Guillaume brothers have gone quite far in their attempt to reconcile economics and physics. Taking their distance from the general equilibrium tradition of Walras and Pareto, of which they disliked the subjective elements, they elaborated their own version of rational economics in which values were derived objectively, based upon two conservation principles. They applied their theoretical knowledge to the real world and offered information and advice to parties willing to pay for it. Apparently capable of making a profit by investing their own funds according to what they identified as lucrative investment opportunities, they stimulated the development of electric devices which would facilitate the calculations needed to construct and use tables of national accounts. This remarkable blend of original theoretical work and practical applications constitutes a fascinating but hitherto largely unknown episode in the history of economics-as-if-it-were-physics. 69That said, it must be acknowledged that their rational economics project can only be described as a failure. Mathematically inclined economists such as Divisia were offended by their obsession to purge economics from all subjective elements. Mathematicians with a strong interest in economics such as von Neumann were critical of the ambition to create a general economic theory simply by mimicking the conservation principles of physics. And economists who worked with linear models of production, such as Leontief, failed to perceive the usefulness of the electric devices of which the design was purportedly based on their theories. In addition, there may have been other reasons why their theories did not gain much ground. They worked mostly outside of academia, at a time when a full-blown mathematical approach such as theirs was still considered to be arcane by most economists. Even though they found a receptive audience at X-Crise, the association with this technocratic group apparently did not open many doors, at least not in terms of academic recognition. And the claims that their theoretical constructions provided the basis for superior investment strategies are impossible to verify, given the lack of evidence. It is, therefore, far from surprising that the grandiose ‘rational economics’ project of the Guillaumes quickly fell into oblivion. I thank Martine Balsalobre, Christian Bidard, Jocelyne Dufour, Claude Jeanrenaud, Alexander Müller, Roger Nougaret, Jean-Pierre Potier and Libb Thims for valuable advice and assistance. The comments and suggestions by the two anonymous reviewers and by the editor have been very helpful. I have also benefited from comments by participants of the 35th Annual HES Conference (York University, Toronto, Canada, June 2008), the International Summer School of History of Economic Thought (Lucca, Italy, September 2008) and the Conference “The Pioneers of Linear Models of Production” (EconomiX, Université Paris Ouest Nanterre La Défense, January 2013), where I presented earlier versions of the paper. Originally this started as a joint project with Albert Jolink, who drew my attention to correspondence he had found in the Papers of Wassily Leontief. I assume full responsibility for all errors and inaccuracies. Archives Historiques du Crédit Lyonnais, Archives Historiques Groupe, Crédit Agricole S.A., Paris. Archives des Mairies de Paris, Archives de Paris, Paris. Office Régional de l’État Civil de Val-de-Travers, Arrondissement du Val-de-Travers, Les Verrières (Neuchâtel). Papers of Wassily Leontief, Harvard University Archives, Cambridge (MA). Service de l’État Civil, Mairie du 16ème Arrondissement de Paris, Paris. Allais, Maurice. 2005. Albert Einstein. Un Extraordinaire Paradoxe. Paris: Éditions Clément Juglar. Amstutz, André and Arnold Borloz. 1945. Endettements, productions, compréhension économétrique. Revue Suisse d’Économie Politique et de Statistique, 81(6): 585-606. Armatte, Michel. 2005. La notion de modèle dans les sciences sociales: anciennes et nouvelles significations. Mathématiques et Sciences Humaines, 43(4): 91-123. Aupetit, Albert. 1957. Essai sur la Théorie Générale de la Monnaie—Économique Rationnelle. Paris: Marcel Rivière. Bidard, Christian and Guido Erreygers. 2007. Potron and the Perron-Frobenius theorem. Economic Systems Research, 19(4): 439-452. Bidard, Christian and Guido Erreygers (eds). 2010. The Analysis of Linear Economic Systems. Father Maurice Potron’s Pioneering Works. London: Routledge. Bidard, Christian, Guido Erreygers and Wilfried Parys. 2009. ‘Our Daily Bread’: Maurice Potron, from Catholicism to mathematical economics. European Journal of the History of Economic Thought, 16(1): 123-154. Biezunski, Michel. 1987. Einstein’s reception in Paris in 1922. In Thomas F. Glick (ed. ), The Comparative Reception of Relativity. Dordrecht: D. Reidel, 169-188. Biezunski, Michel. 1991. Einstein à Paris. Saint-Denis: Presses Universitaires de Vincennes. Bodin, Charles. 1926. Principes de Science Économique: Cours Élémentaire d’Économie Simple. Paris: Sirey. Bouytaud, Maurice. 1935. Essai d’Économique Rationnelle. Paris: Gauthier-Villars. Coutrot, Jean. 1936. L’Humanisme Économique. Les Leçons de Juin 1936. Paris: Éditions du Centre polytechnicien d’études économiques. Dard, Olivier. 1995. Voyage à l’intérieur d’X-Crise. Vingtième Siècle. Revue d’Histoire, 47: 132-146. Dard, Olivier. 1999. Jean Coutrot. De l’Ingénieur au Prophète. Besançon: Presses Universitaires Franc-comtoises. Davis, Harold T. 1938. [Book review]. Bulletin of the American Mathematical Society, 44(11): 761-762. De la Récurrence des Crises Économiques. 1982. [X-Crise. Centre Polytechnicien d’Études Économiques. Son Cinquantenaire, 1931-1981]. Paris: Economica. Divisia, François. 1928. Économique Rationnelle. Paris: Doin. Divisia, François. 1938. L’économique rationnelle de MM. Georges et Édouard Guillaume. Revue d’Économie Politique, 52(1): 187-193. Divisia, François. 1951. Exposés d’Économique. Introduction Générale: L’Apport des Ingénieurs Français aux Sciences Économiques. Paris: Dunod. Eisler, Robert. 1946. Omnipotent government. The Nineteenth Century and After, 139-140(837): 239-247. Eisler, Robert and Eric George Hart. 1948. Winning the Peace. A Comprehensive Policy. London: Frederick Muller. Fischman, Marianne and Emeric Lendjel. 2000. X-Crise et le modèle des frères Guillaume. In Pierre Dockès, Ludovic Frobert, Gérard Klotz, Jean-Pierre Potier, André Tiran (eds), Les Traditions Économiques Françaises, 1848-1939. Paris: CNRS Editions, 369-382. Fisher, Irving. 1935. Stable Money. A History of the Movement. New York, NY: Adelphi. Friedman, Robert Marc. 2005. Einstein and the Nobel Committee: Authority vs. expertise. Europhysics News, 36(4): 129-133. Gélinier, Octave. 1946. De la dynamique économique à la dynamique générale. Revue Philosophique de la France et de l’Etranger, 137(7-9): 257-288. Genovesi, Angelo. 2000. Il Carteggio tra Albert Einstein ed Édouard Guillaume. “Tempo Universale” e Teoria della Relatività Ristretta nella Filosofia Francese Contemporanea. Milano: Franco Angeli. Gibrat, René. 1936. La science économique. Méthodes et philosophie. In Actes du Congrès International de Philosophie Scientifique, Sorbonne, Paris 1935. II. Unité de la Science. Paris: Hermann & Cie, 22-31. Gilibert, Giorgio. 2000. Un decennio di modelli circolari (1927-1937). In Massimo Pivetti (ed. ), Piero Sraffa. Contributi per una Biografia Intellettuale. Roma: Carocci, 461-469. Guillaume, Édouard. 1918. La théorie de la relativité et le temps universel. Revue de Métaphysique et de Morale, 25(3): 285-323. Guillaume, Édouard. 1920. La théorie de la relativité et sa signification. Revue de Métaphysique et de Morale, 27(4): 423-469. Guillaume, Édouard. 1921. La Théorie de la Relativité. Résumé des Conférences Faites à l’Université de Lausanne au Semestre d’Eté 1920. Lausanne: F. Rouge & Cie.
Guillaume, Édouard. 1924. Introduction. In Henri Poincaré, La Mécanique Nouvelle. Conférence, Mémoire et Note sur la Théorie de la Relativité. Paris: Gauthier-Villars, v-xvi. Guillaume, Édouard. 1935. Préface. In Maurice Bouytaud, Essai d’Économique Rationnelle. Paris: Gauthier-Villars, v-vi. Guillaume, Édouard. 1937. Quelques Lois Économiques Fondamentales: Leçon Inaugurale du Cours Libre d’Économie Financière Donné au Semestre d’Hiver 1936-1937. Neuchâtel: La Baconnière. Guillaume, Édouard. 1943. La théorie quantitative de la monnaie représente-t-elle les faits? Journal de Statistique et Revue Économique Suisse, 79(2): 89-105. Guillaume, Édouard. 1946. De la science actuarielle à la science économique. Conférence faite à Bâle, lors de l’assemblée annuelle du 13 octobre 1945. Bulletin de l’Association des Actuaires Suisses, 46(1): 53-87. Guillaume, Édouard and Georges Guillaume. 1947. L’Arbitre Suprême. Paris: Centre d’Analyse Économique. Guillaume, Édouard and Georges Guillaume. 1949. La détermination des valeurs par synthèse et l’instance arbitrale. In E.W. Beth, H.J. Pos and J.H.A. Hollak (eds), Actes du Xme Congrès International de Philosophie (Amsterdam, 11-18 Août, 1948). Amsterdam: North-Holland, volume I, part 2, 1034-1037. Guillaume, Georges. 1960. L’Accord par le Cosmisme. Paris: Éditions de l’Adéquatorium. Guillaume, Georges and Édouard Guillaume. 1932. Sur les Fondements de l’Économique Rationnelle, Avec une Technique de la Prévision. Paris: Gauthier-Villars. Guillaume, Georges and Édouard Guillaume. 1937. L’Économique Rationnelle. Des Fondements aux Problèmes Actuels. Paris: Hermann & Cie.
Guillaume, Georges and Édouard Guillaume. 1938. Controverse au sujet d’une nouvelle économique rationnelle: réponse aux commentaires de M. F. Divisia. Revue d’Économie Politique, 52(4): 1220-1223. Guillaume, Georges and Édouard Guillaume. 1944. Construction d’une Économie Mondiale—Les Conditions de l’Harmonie—Le Plan Rationnel. Paris: Centre d’Analyse Économique. Henry, Odile. 2004. De la sociologie comme technologie sociale. La contribution de Jean Coutrot, 1895-1941. Actes de la Recherche en Sciences Sociales, 153: 48-64. Jaeger, Charles. 1937a. [Book review]. Bulletin Technique de la Suisse Romande, 63(12): 163. Jaeger, Charles. 1937b. Quelques aspects récents de l’emploi des mathématiques en économie politique. Schweizerische Bauzeitung, 110(5): 45-51. Jaffé, William (ed.). 1965. Correspondence of Léon Walras and Related Papers. Amsterdam: North-Holland, 3 volumes. J.C. 1938. [Book review]. Bulletin Technique de la Suisse Romande, 64(7): 98-99. Jevons, William Stanley. 1888. The Theory of Political Economy. London: Macmillan. Juvet, Gustave. 1932. [Book review]. Bulletin Technique de la Suisse Romande, 58(23): 307-308. Kalecki, Michal. 1940. [Book review]. Economic Journal, 50(198/199): 276-278. Le Centre d’Analyse Économique—Son Organisation—Son But. 1935. Paris: Centre d’Analyse Économique. Lemaître, Henri. 1937. Les centres de documentation. In Raymond Aron et al., Les Sciences Sociales en France. Enseignement et Recherche. Paris: Paul Hartmann, 324-379. Lendjel, Emeric. 2002. X-Crise (1931-1939): Entre l’Atelier de Modèles et le Bureau des Méthodes. Université de Marne-la-Vallée, UFR de Sciences Économiques et de Gestion, Mémoire pour l’Habilitation à Diriger les Recherches, volume II. Lenoir, Marcel. 1913. Études sur la Formation et le Mouvement des Prix. Paris: Giard & Brière. Leonard, Robert J. 1995. From parlor games to social science: von Neumann, Morgenstern, and the creation of game theory 1928-1944. Journal of Economic Literature, 33(2): 730-761. Leontief, Wassily. 1934. Pitfalls in the construction of demand and supply curves: A reply. Quarterly Journal of Economics, 48(2): 355-361. Marjolin, Robert. 1937. La statistique. In Raymond Aron et al., Les Sciences Sociales en France. Enseignement et Recherche. Paris: Paul Hartmann, 200-223. Mirowski, Philip. 1989. More Heat than Light. Economics as Social Physics, Physics as Nature’s Economics. Cambridge: Cambridge University Press. Mirowski, Philip. 2002. Machine Dreams. Economics Becomes a Cyborg Science. Cambridge: Cambridge University Press. Mirowski, Philip and Pamela Cook. 1990. Walras’ ‘Economics and mechanics’: Translation, commentary, context. In Warren J. Samuels (ed. ), Economics as Discourse. An Analysis of the Language of Economists. Boston: Kluwer, 189-215. Moatti, Alexandre. 2007. Einstein, un Siècle contre Lui. Paris: Odile Jacob. Mollier, Jean-Yves. 1988. L’Argent et les Lettres. Histoire du Capitalisme d’Édition. 1880-1920. Paris: Fayard. Nordmann, Charles. 1922. Einstein expose et discute sa théorie. Revue des Deux Mondes, Année 92, Période 7, Tome 9: 129-166. Petitpierre, Jacques. 1955. La famille Guillaume. In Jacques Petitpierre, Patrie Neuchâteloise. Neuchâtel: H. Messeiller, volume IV, 181-217. Picard, Roger. 1937. Les sciences économiques. In Raymond Aron et al., Les Sciences Sociales en France. Enseignement et Recherche. Paris: Paul Hartmann, 224-255. Pirou, Gaetan. 1929. Doctrines Sociales et Science Économique. Paris: Sirey. Rosny, J.-H. (Aîné). 1927. L’Académie Goncourt. Les Salons—Quelques Éditeurs. Paris: G. Crès et Cie.
Roth, Dorothea. 1965. James Guillaume: seine Jugend in Neuenburg (bis 1862), sein Studium in Zürich (1862-1864) und seine Begegnung mit dem Sozialismus (1868). Schweizerische Zeitschrift für Geschichte, 15(1): 30-86. Ruedin, Pascal. 1996. Ernest Biéler illustrateur des Goncourt dans la ‘Collection Édouard Guillaume’ à Paris (1880-1892). Art + Architecture en Suisse, 47(4): 389-403. Rueff, Jacques. 1922. Des Sciences Physiques aux Sciences Morales. Paris: Alcan. Sraffa, Piero. 1960. Production of Commodities by Means of Commodities. Prelude to a Critique of Economic Theory. Cambridge: Cambridge University Press. Stead, Évanghélia. 2007. De la revue au livre: notes sur un paysage éditorial diversifié à la fin du XIXe siècle. Revue d’Histoire Littéraire de la France, 107(4): 803-823.
von Neumann, John. 1945-6. A model of general economic equilibrium. Review of Economic Studies, 13(1): 1-9.
von Neumann, John and Oskar Morgenstern. 1944. Theory of Games and Economic Behavior. Princeton: Princeton University Press. Vuilleumier, Marc. 1964. Les archives de James Guillaume. Le Mouvement Social, 48: 95-108. Walras, Léon. 1992. L’économique appliquée et la défense des salaires. In Léon Walras, Études d’Économie Politique Appliquée. Paris: Economica, Auguste et Léon Walras Œuvres Économiques Complètes, volume X, 245-261. Walras, Léon. 1987. Économique et mécanique. In Léon Walras, Mélanges d’Économie Politique et Sociale, Paris, Economica, Auguste et Léon Walras Œuvres Économiques Complètes, volume VII, 330-341. 2 The English connection apparently explains why the (French versions of the) names of the English kings Edward, George, Charles and James were popular in the Guillaume family (Roth, 1965, 35). 3 The information on the Guillaume family comes from Rosny (1927, 201-23), Petitpierre (1955), Mollier (1988, 474-417), Ruedin (1996), and Stead (2007, 814-818). 4 This information on Édouard and Georges Guillaume comes from their birth certificates in the Archives de Paris. Although the certificate of Georges mentions that his mother was called ‘Stella’ Nacamulli, there is little doubt that Nina and Stella Nacamulli are one and the same person. 5 In 1920 it was widely expected that Einstein would win the prize for his contributions to relativity theory, but he had little support in the Nobel Committee for Physics. In 1921 the Committee came to the conclusion that no one was worthy of the prize, and as a result the Royal Swedish Academy of Sciences did not award a Nobel Prize for Physics that year. In 1922, however, the Academy awarded two Nobel Prizes for Physics: Einstein received the 1921 prize for his discovery of the law of the photoelectric effect (not for his relativity theory), while Niels Bohr received the 1922 prize. More details can be found in Friedman (2005). 6 As one prominent observer wrote: “Au bout de quelques instants il devint évident que ce ne serait point encore ce jour-là, ni de cette main, qu’Einstein mordrait la poussière. Quand l’orateur eut achevé, il ne fallut pas plus de deux secondes à ceux qui avaient compris, et tous les assistants étaient dans ce cas, pour ramener l’intervention tant claironnée à ses modiques proportions. (…) Quant à Einstein, souriant, il se réfugia dans une abstention charitable en prétextant n’avoir rien compris à ce que voulait dire son interlocuteur. Ainsi s’acheva cet incident dont on ne peut dire s’il fut plus bouffon que pénible.” (“After a short while, it became evident that the day had not come when Einstein would byte the dust. When the speaker was over, it did not take more that two seconds to those who had understood – that was the case of all the attendance—to reduce the trumpeted critic to its genuine modest proportions. … As for Einstein, smiling, he abstained from commenting under the charitable pretext of not having understood the argument of the lecturer. Thus the incident ended, about which there is no way to tell if it was more farcical than painful.”) (Nordmann, 1922, 153). See also Biezunski (1987, 176-177; 1991, 21-22, 47-48, 90, 120-122, 138) and Moatti (2007, 143-146). 10 The published book version of the dissertation has the following on the page facing the inner front cover: “Le présent Ouvrage a fait l’objet d’une Thèse de doctorat présentée à la Faculté de Droit de l’Université de Neuchâtel et acceptée avec Félicitations du Jury.—Neuchâtel, le 28 janvier 1932.” (Guillaume and Guillaume, 1932) The title page itself mentions: “par Georges Guillaume—Docteur ès Sciences Économiques—Secrétaire Général de la Société d’Économique Appliquée”. It also states: “Avec une Théorie Mathématique—par Édouard Guillaume—Docteur ès Sciences”; since there is no separate mathematical theory in the book, it is unclear to what this statement refers precisely. 11 Founded in 1931, X-Crise was originally conceived as a study group where graduates of the École Polytechnique could reflect on the serious social and economic problems of the period. In 1933 it became a formal association open also to others. On X-Crise, see: De la Récurrence des Crises Économiques (1982) and Ljendel (2002). 13 “Ces extensions ont fait l’objet de diverses communications au Centre Polytechnicien d’Études Économiques, auquel nous devons tant, et nous sommes heureux de saisir cette occasion pour exprimer à ses animateurs les sentiments de notre gratitude.” (“Those extensions have been the subject of numerous presentations at the Centre Polytechnicien d’Etudes Economiques to which we owe so much, and we are glad to seize the opportunity of expressing our gratitude to its organizers.”) (Guillaume and Guillaume, 1937, 247) The year before, Georges Guillaume had written the preface of Coutrot’s L’humanisme économique, Document 4 of the same series. 16 In 1947 they apparently also wrote a report Contribution à l’étude préliminaire sur le projet d’enquête de l’Organisation des Nations Unies pour l’éducation, la science et la culture sur “États de tension et compréhension internationale” (Centre d’Analyse Économique, 1947, 38 pp. ), of which I have been unable to find a copy. The biologist Julian Huxley (1887-1975), brother of Aldous, was at that time the first director of UNESCO. The Huxley connection might explain their involvement in this UNESCO initiative. 17 The outer cover carries a different title: L’Arbitrage du Cosmisme. It was published by the Éditions de l’Adéquatorium, located at the same address as the Centre d’Analyse Économique. 18 The information on Édouard comes from the registry office of the Arrondissement du Val-de-Travers in Les Verrières, and that on Georges from his death certificate in the Mairie du 16ème Arrondissement de Paris. 19 An abridged edition, containing only the Introduction and the Économique rationnelle part, was reissued in 1957. 22 P.W. Bridgman (1882-1961) was a physicist who was awarded the Nobel Prize in Physics in 1946. Fischman and Lendjel (2000, 370-372) have analysed the influence of Bridgman’s concepts on the work of the Guillaume brothers; they also suggest a strong similarity with the views of Paul Samuelson (ibid., 381n). 27 In Guillaume and Guillaume (1937, 279-280) some ‘structural coefficients’ are defined in terms of the net rather than the gross outputs. 28 The connection between Eisler and Georges Guillaume dates from the 1930s; see Fisher (1935, 102) and Gibrat (1936, 26). 29 The first report “Centre d’Analyse Économique (Visite à M. G. Guillaume)” (Note N° 8447) is dated 18 November 1935, and the second “Centre de Documentation Économique. Atlas International de Valeurs” (Note N° 8656) 17 June 1938. Together with related correspondence and appendices they are conserved in the Archives Historiques du Crédit Lyonnais, file numbers DEEF 44503/2 and DEEF 59907. 32 In 1935 these sections were headed by Stéphane Leven, Antoine Pourquié, Jacques Bourcier-Omètre, René Guignard—all former students of the École Polytechnique—and J. Mertens, a chartered accountant. The administrative director was Pierre Mauclère, a chemical engineer. Other members of staff mentioned by name in the brochure were the actuary Max Borel, the statistician M. Dewek, and P. De La Porte De Vaux, Directeur honoraire de la Société Générale. The centre also employed a lawyer, L. Guillaume, and a librarian, S. Neikrug. 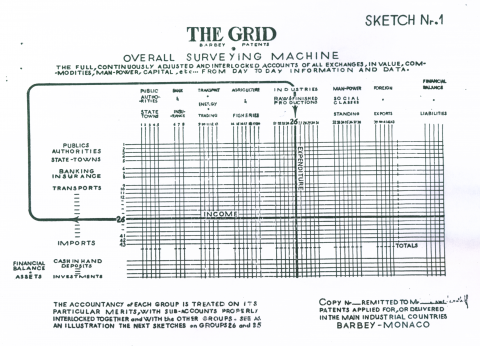 33 E.g., it published a bulletin which was only available to subscribers (Lemaître, 1937, 343); both Marjolin (1937, 221) and Picard (1937, 251-252) saw the centre mainly as providing business cycle information. 35 My guess is that the ‘major Swiss insurance company’ is La Neuchâteloise, of which Édouard was director. 37 The second report by the Crédit Lyonnais staff had in appendix a leaflet on the Atlas and two of its planches, one on the Crédit Lyonnais itself and another on the Crédit Commercial de France, sent to the bank by Georges Guillaume. 38 Once again the bank seems to have declined Guillaumes services. The report mentioned several inaccurate and arbitrary elements in the planches (“Centre de Documentation Économique. Atlas International de Valeurs”, 1938). 39 Some confusion may be possible with another Paris-based Centre d’Analyse Économique, the one headed by Maurice Allais since 1946. 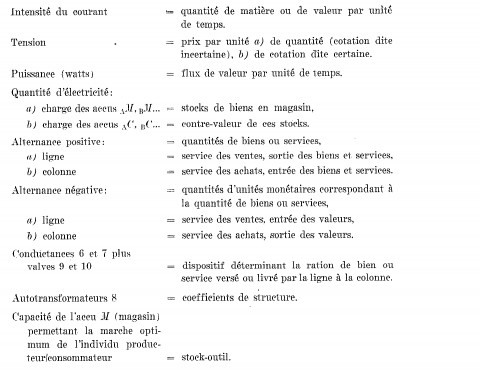 40 They mentioned explicitly the ‘remarkable researches’ of Stéphane Leven on the construction of a leading indicator (ibid., 246), and the work of Antoine Pourquié on the laws of price variations (ibid., 313-4). Much later Leven (1971) wrote a book on monetary instability, but he did not mention his work at the Guillaume institution. 41 Octave Gélinier (1916-2004), a civil mining engineer, later became one of France’s leading management experts. In 1947 he moved to Cegos, where he would spend the rest of his career. 44 Patent number FR992866, applied for on 18 September 1944, delivered on 11 July 1951, and published on 24 October 1951. All patent information comes from the EPO Database (for European patents), the USPTO Database (for American patents) and the CIPO Database (for Canadian patents). 46 Barbey to Leontief, 6 March 1946, Appendix, p. 2. The Barbey-Leontief correspondence comes from the Papers of Wassily Leontief, Harvard University Archives. 47 Leontief to Barbey, 14 March and 19 June 1946. Interestingly, in the first letter he mentioned that his 1934 article in the Quarterly Journal of Economics “has been translated into French by Mr. Stephane Leven of the French Economic Mission in Washington”. Guido Erreygers, « Mechanics Meets Economics, Once Again: The “Rational Economics” Project of the Guillaume Brothers », Œconomia, 5-2 | 2015, 125-156.